Been riding hard? Must be time to cool off with a long, cool drink, courtesy of the long, cool Wyoming Drink Ticket. 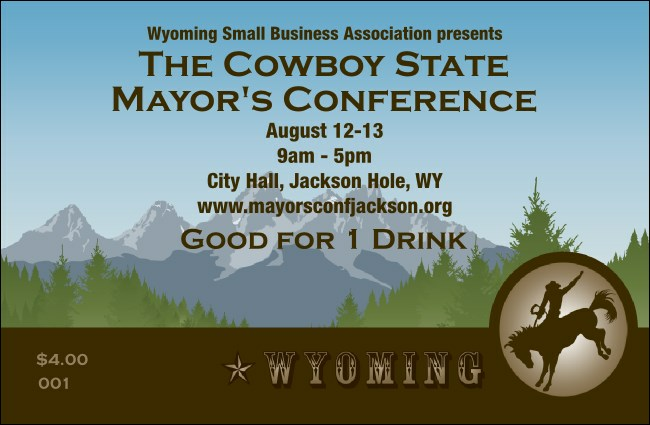 This regional, mountainous design plays up the feeling of freedom of the Equality State with a wide-open, outdoors look, along with the smaller bucking bronco logo on a full color Drink Ticket. Quench your thirst for refreshing design at TicketPrinting.com.